Washington Photo Safari teaches the techniques of photography by taking visitors and local residents on half-day and full-day photo shoots around key sites of the nation’s capital and other cities, while an accompanying professional photographer offers participants extensive tips in camera use, image composition and design, proper exposure, lighting, and posing “models” for the best effect. “Safari” is a Swahili word meaning “journey.” Washington Photo Safari takes visitors on half-day and full-day “photo journeys” around key destinations around DC and other cities, while an accompanying professional photographer offers participants extensive tips in camera use, image composition, proper exposure, and lighting. True to its motto of “See. Click. Learn.” Washington Photo Safari conducts all of its instruction in the field – not in a classroom – while the client is taking pictures, so that corrections can be made in real time. Photographers of all skill levels are invited to participate in our Washington, DC photo safaris and any camera is acceptable, even cell phone cameras. Safaris are also presented in close-by locations including DC, Frederick, Annapolis and Baltimore, and there are special workshops on the most popular DSLR and mirrorless cameras. Principal travel photography workshops cover the major sites of DC including the monuments, memorials, and cathedrals. Beyond these key sites, specialty Safaris are offered in techniques in street photography (taught by a Pulitzer Prize-winning photojournalist), nature photography, f stops and shutter speeds, architectural, pet, macro, museum, abstracts, candid kids, artistic composition, creative flash, and indoor/outdoor portraiture, Special night-time photography workshops are offered including the “Monuments at Night,” and “Moonrise Over the Capitol” During DC’s beautiful cherry blossom season, photo Safaris are provided around the Tidal Basin. Washington Photo Safari also offers one-on-one private tutoring, customized corporate group safaris, and week-long intensive photography workshops on board cruise ships from Baltimore to the Bahamas; from Paris to Normandy and from Amsterdam to Basel on Viking River Cruises. Photography started for Washington Photo Safari founder and director E. David Luria many years ago with a little Kodak Brownie Flash 620 film camera and with gentle coaching from his mother, Estela, who always urged him to take better pictures! “Get closer”, she would say, “and make sure your subjects turn their bodies sideways!” she admonished, inadvertently laying the groundwork for an award-winning program that has now trained over 36,500 amateur photographers on 5,600 photo safaris since it began operations in early 1999, averaging five clients every day, 365 days a year for 20+ years! Like many photographers, David expanded his love for photography when his children were born. He continued to develop his skills while serving as an overseas administrator for the international development program care during six years in Latin America. Then, after graduating from Amherst College, spending 3 years in the Army and 34 years working in the international non-profit field, David lost his job with a DC international organization in 1996 and decided to take up his hobby of photography, making it his profession. He took courses with the Smithsonian Resident Associates program, with the New York Institute of Photography, and with the Parsons School of Design in Paris, where he studied black and white photography with a protégé of famed French photographer Henri Cartier Bresson. Upon returning to the States, he became an architectural photographer, and since that time has photographed over 3,500 apartment buildings, private residences, hotels and restaurants, with his images appearing in over 100 publications. In 1998 David led several photo study tours for the Smithsonian Resident Associates program which turned out to be quite popular. That caused him to establish a photo study tour program of his own in 1999, which he called Washington Photo Safari. “Safari” is a Swahili word for “journey,” and David considers his training sessions to be journeys into the joy of photography. It became the first community-based photo study tour program in the country and is now one of the largest photography training programs in the USA. There are now over 30 such programs across the country, many of them established with help from Washington Photo Safari (WPS). 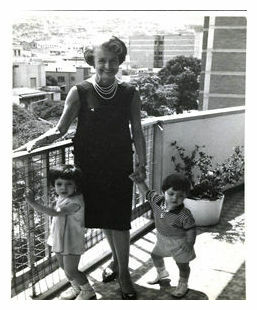 Three members of David’s family (son David, granddaughter Sarah, and daughter Rebecca) assisted him in the early administration and marketing of the program. In 2000 the program got its first big break by being featured on the NBC Today Show, during a segment on older people like David who have started a second career. That broadcast, plus a newspaper article in The Washington Post in 2002 gave a lot of visibility to the program and brought in many new clients, two of whom has now been on 60 of the organization’s 110 photo itineraries! The first Safari that David conducted was the 4-hour Monuments and Memorials tour, which remains one of the most popular activities still today. In 2001, he expanded the menu to include new destinations and techniques, such as Sunset on the National Mall, The Franciscan Monastery, and Holiday Lights at the Mormon Temple. The year 2002 saw additional itineraries in abstract, moonrise, churches, cherry blossoms at sunrise, Southwest Waterfront, Union Station, Washington National Cathedral photo safaris, the Library of Congress, event photography, and the very popular Monuments at Night. In 2004 David began conducting seminars on helping people transition into photography as a second career and teaching real estate and architectural photography. In 2005 WPS conducted its first fund-raising benefit Safari, to helping victims of the tsunami disaster in Asia. It has since raised a total of $27,500 through volunteer Photo Safaris conducted to benefit other International and domestic disasters and earthquakes, and it has provided hundreds of free safari gift certificates to the silent auctions of local non-profit charitable organizations. 2006 saw the expansion of offerings to include specialized Safaris on METRO, on F Stops and Shutter Speeds, and on helping users of specific Nikon and Canon cameras to navigate their menus. These were taught by the popular instructor Melanie Otto (who tragically died in 2016 of a brain hemorrhage at the tender age of 49). In that year WPS also conducted its first International safaris in Paris and in Buenos Aires and expanded its domestic itineraries to include New York City, Frederick, Baltimore and Annapolis, MD and Yellowstone National Park. Eleven other professional photographers have now joined David as instructors in such specialties as portrait, nature, street, pets, model trains, and drone photography. The intervening years have produced a revamped website, a new logo, and many new safaris, including an exciting flyover of World War II aircraft in 2015, food and fireworks, Marine Corps Silent Drill Team, and a Paris on the Potomac excursion, and several safaris at George Washington’s Mount Vernon, a visit to the Embassy of Italy, snowfaris (in the snow! ), pillow fights, snowball fights, nature safaris capturing eagles, snow geese and wolves, composition safaris at the National Gallery of Art and many other museums and local cathedrals, safaris at Reagan Washington National Airport and at the Willard Hotel as well as private tutoring. Those years have also seen complimentary remarks about WPS in the U.S. Congressional Record and dozens of 5-star reviews for WPS on Trip Advisor, Viator, and Google, and the awarding of Trip Advisor Certificates of Excellence to WPS every year since 2013, culminating into TripAdvisor’s Hall of Fame Award, given to WPS in 2018 along with a high ranking as the No. 1 Photography Tour and No. 3 out of 63 Outdoor Activities in DC! By 2010, the program had become so popular that when it offered a deep Groupon discount, over 1,000 people signed up within 48 hours. In 2012, WPS entered into an informal partnership with the popular Capitol Photography Center (CPC) offering trips that complement, but do not duplicate CPC’s workshops. 2017 saw the organization’s first international cruise ship photo workshop, from Baltimore to the Bahamas, followed by photo cruises in 2018 from Paris to Normandy and in 2019 from Amsterdam to Basel on Viking River Cruises, plus a street photography safari in Cuba! So when you see hundreds of people getting close to their subjects and turning them sideways, they are all WPS graduates who can thank David Luria’s mother!